Rocks are alive. They grow, they move, they breathe. 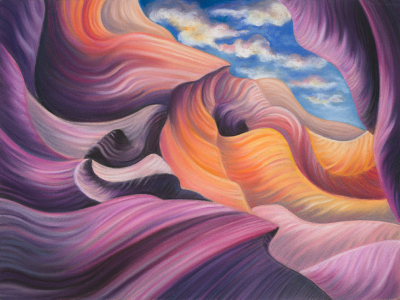 Stacey Roberts’ soft pastel paintings of rock formations are alive with color and movement. She has been an artist her whole life, but began painting seriously in pastel a little over 3 years ago. Originally from Michigan, Stacey moved to California for art school in 1991 where she studied Fine Art, with a concentration in Illustration, at the Academy of Art in San Francisco. Her art education provided her with a strong foundation in drawing, painting, and color theory. 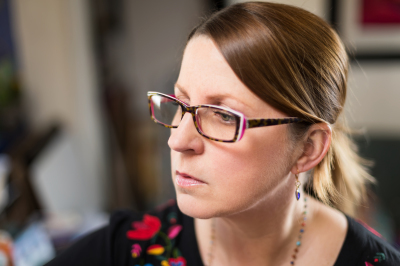 She was a freelance illustrator until 1999, when she moved to Monterey where she worked as a stained glass artist. In 2001, Stacey re-located to the beautiful state of Colorado where she studied art education at the University of Denver. While earning her Masters degree, she began creating custom pet portraits in oil, playing with color and movement to give life to her paintings. In the summer of 2016, she visited Paint Mines Interpretive Park in Calhan, CO. The surreal shapes and colors of the rock formations were so incredibly inspiring to her that she couldn’t wait to paint them. For the two and a half years, she has enjoyed bringing life to the rocks that she feels compelled to paint. Stacey currently lives and paints at her home studio located in the foothills of the Rocky Mountains. 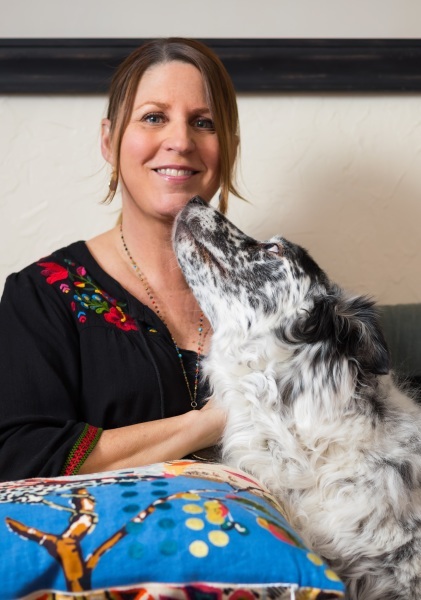 Her favorite place to paint is outdoors, but due to the nature of her medium, and the winds that the foothills can create, the majority of her paintings are created in her studio which she shares with her three-legged pet turtle, Tripod. I love rocks! When I was 5 or 6 years old, my grandparents took a road trip around the U.S. and collected rocks from each state that they visited. When they returned from their trip, each of us grandkids got a bag of rocks, labeled with the state that they came from. This was a treasure to me, and most definitely the start of my obsession with rocks. There is something magical about geology, and the history that rocks have hidden within them. When creating a new landscape painting, I bring the rocks to life; by making them feel as if they are breathing. Movement in my paintings is important to me because in the past, I’ve painted living, breathing things: pet portraits, wildlife, and people. When I began painting rock formations, I fell in love with the idea of taking an inanimate subject and bringing it to life. Movement makes things feel alive! When beginning a new painting, I first sit and look through my collection of photo references that I’ve taken or that have been shared with me, and I find one that catches my attention. The way something moves, or bends, or twists will catch my eye and say “pick me!” Once I have my inspiration, paper size is decided upon, and I begin creating. The next step is choosing a color palette. 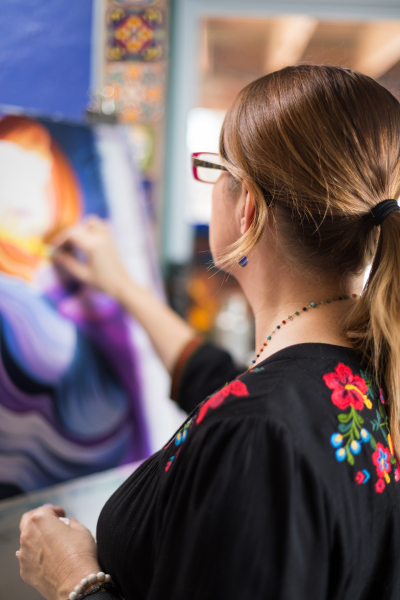 I paint in soft pastel because I love the bright, saturated colors, and the immediacy of the medium. Using my fingers as tools to manipulate the pigments gives me a direct connection to the painting. My work is methodical. I begin from the bottom and climb my way to the top. Once the sky is finished and the painting feels alive, it’s done!